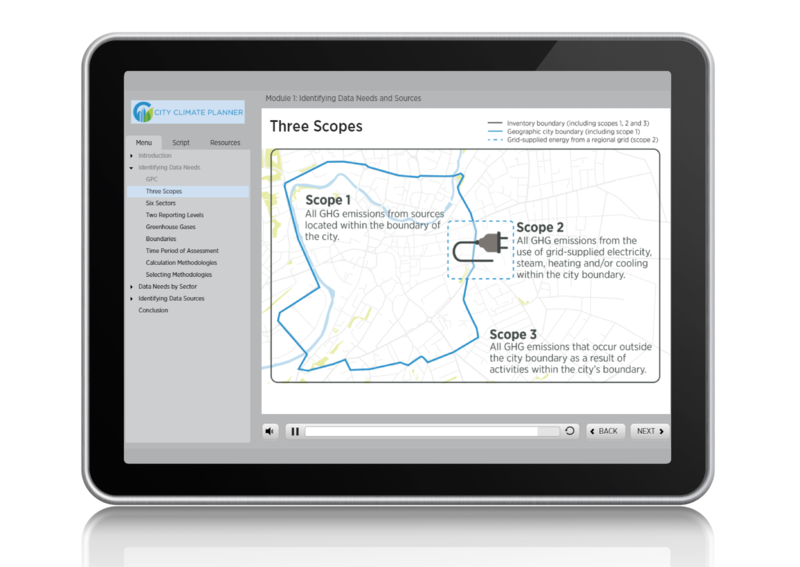 We developed the Urban Greenhouse Gas Inventory training for the City Climate Planner program to support candidates pursuing the Urban Greenhouse Gas Inventory Specialist credential. The City Climate Program helps city staff and their partners develop the skills needed to advance local climate action in cities worldwide. The Urban Greenhouse Gas Inventory training was designed and developed to train individuals to help local governments identify, measure and track GHG emissions in their cities. Developed with a team of top international experts, including the World Bank, WRI, ICLEI, and GBCI, this course is utilizes an interactive curriculum based on the GPC standard with the input of partners and experts around the world. 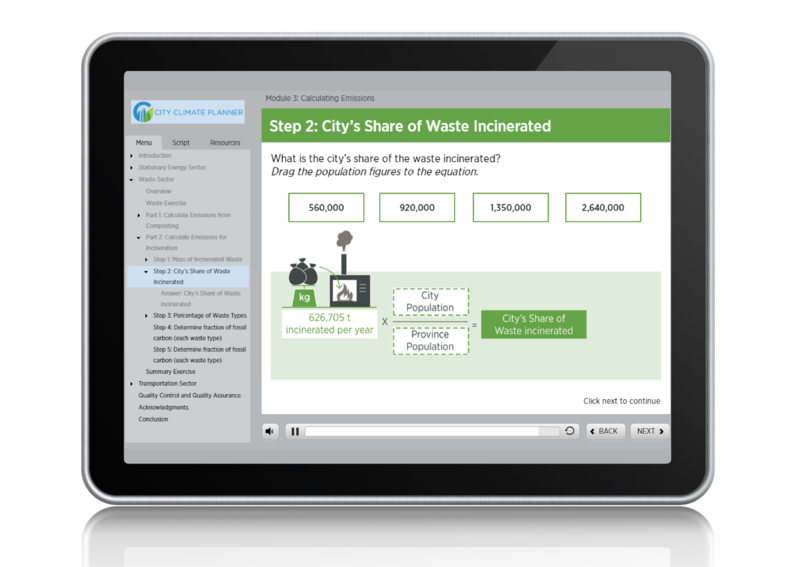 The curriculum follows the process of inventory creation, starting with data collection, management, to quality assurance and verification, and ending with a module on calculating city-wide emissions inventories. Each module is comprised of rich visuals, interactive exercises, and case studies that highlight real-life challenges. 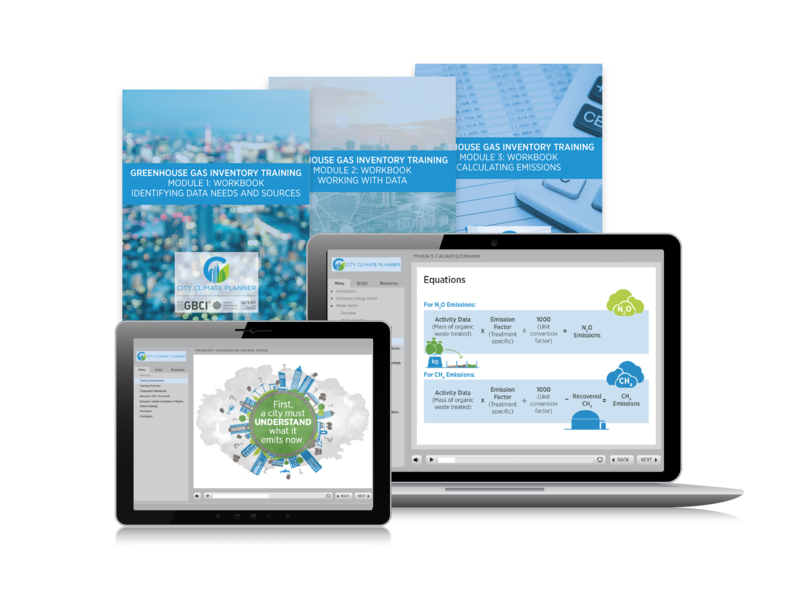 Identify data needed to conduct a greenhouse gas inventory that addresses the Stationary Energy, Transportation and Waste sectors. Describe factors that make data sources suitable for the inventory. 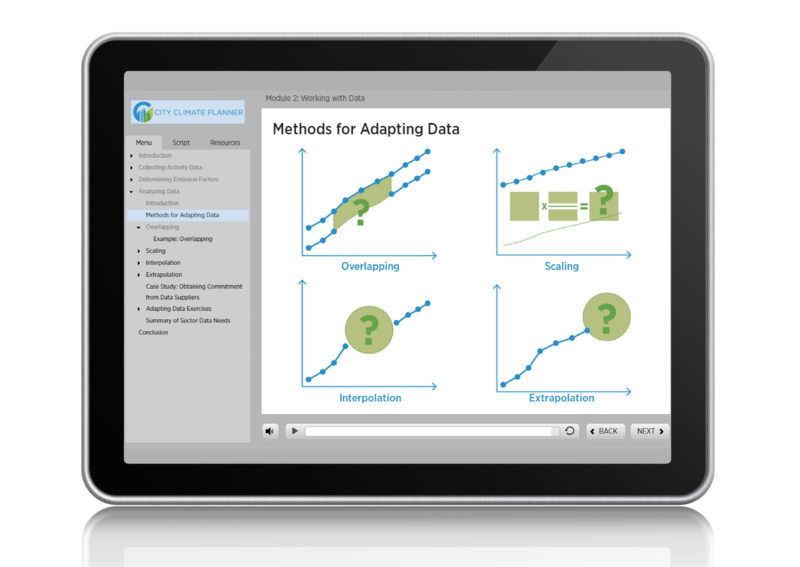 Describe approaches for gathering existing data, generating new data, and adapting data to address data gaps. 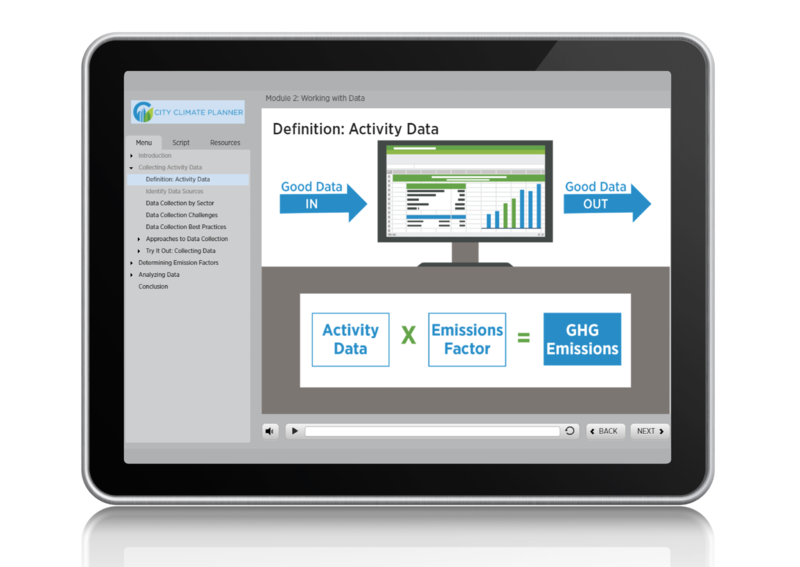 Calculate emissions in practice exercises by applying data to equations.